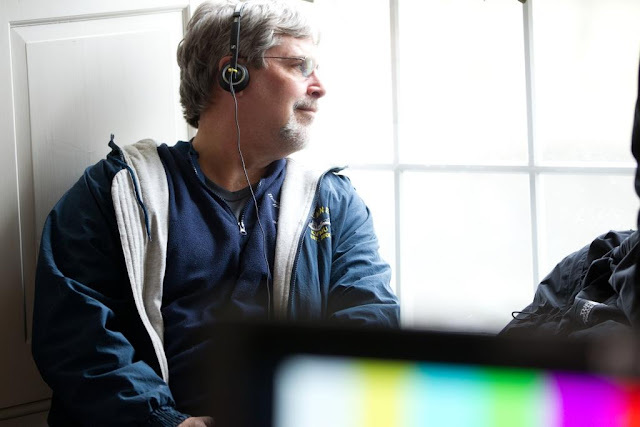 Paul Greengrass' Captain Phillips does not needs a hyperbolic introduction as his name has become synonymous with socially relevant entertainment as much as his leading man - Tom Hanks' name is with a quality production. 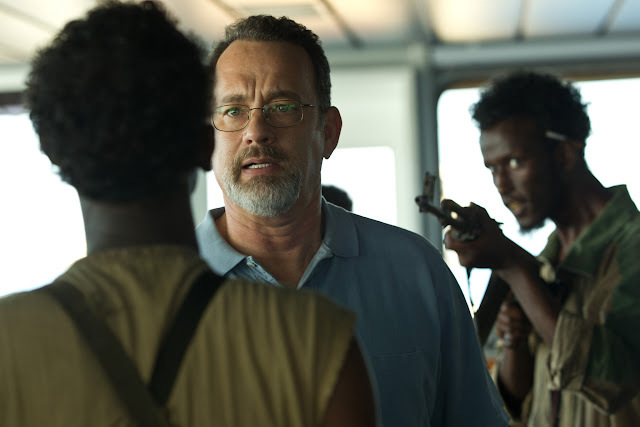 I haven't had a chance to see Captain Phillips yet but have only heard good things about the recreation of events around the tense hostage drama that unfolded off Somalia since it premiered at the London Film Festival and will shortly pop into a cinema to see what all the fuss about. 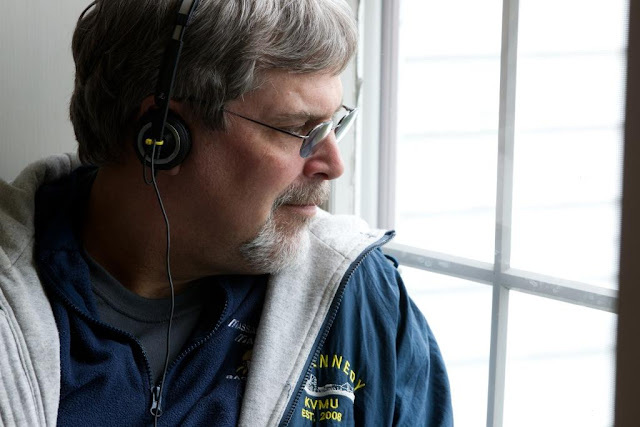 In the meantime here are the real Captain Richard Phillips' thought on his real life experience of the pirate hostage drama, working on the film and his verdict of the film from an interview with Steven Goldman. 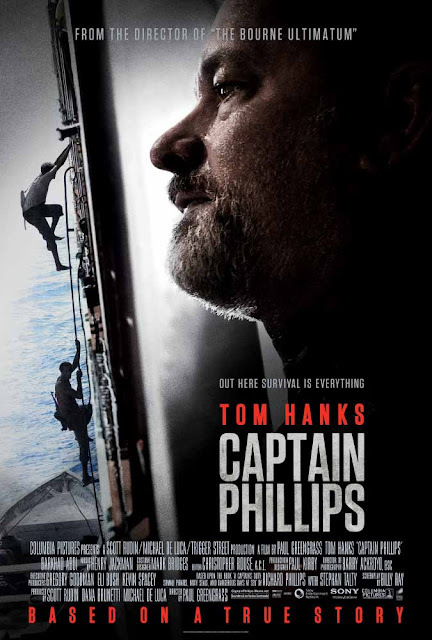 In Captain Phillips, two-time Academy Award winner Tom Hanks stars as Captain Richard Phillips, the man behind the helm of the US container ship, Maersk Alabama, which was hijacked by Somali pirates in 2009. 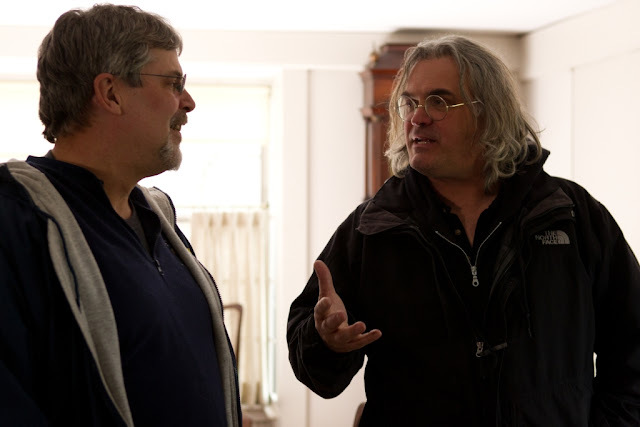 Taken hostage during the ordeal, Phillips found himself at the center of a standoff on the high seas – the subject of his book A Captain’s Duty (Hyperion; 2010) - and now the critically acclaimed hit film from director Paul Greengrass which recently opened both the New York and London International Film Festival. You wrote a book about your experience [A Captain's Duty: Somali Pirates, Navy SEALS, and Dangerous Days at Sea]. How and why did that come about? What kind of input did you give him? Before the movie was made there were emails and telephone calls back and forth. I don’t know if you know, but his father is a merchant-mariner. 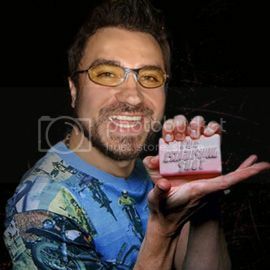 So it was something close for him to do this movie too. But yeah, there were telephone calls back and forth. 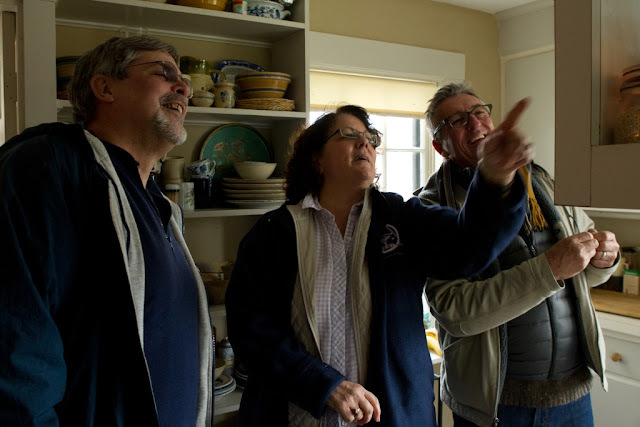 Again, it was more before the shooting, so it was more in terms of the script – “Would this happen? Would that happen? Could this have been said?” Things like that. You returned to work 14 months after the incident itself? How difficult was that for you? It was pretty easy. At that time, four years ago, I was going to sea for thirty years. It’s what I do. In actuality that’s the longest I’ve been in one place, for that 14 months at home, straight… For me it was good to get back to what I know. I wasn’t afraid. I was wary, as I was even before the incident, of any areas. 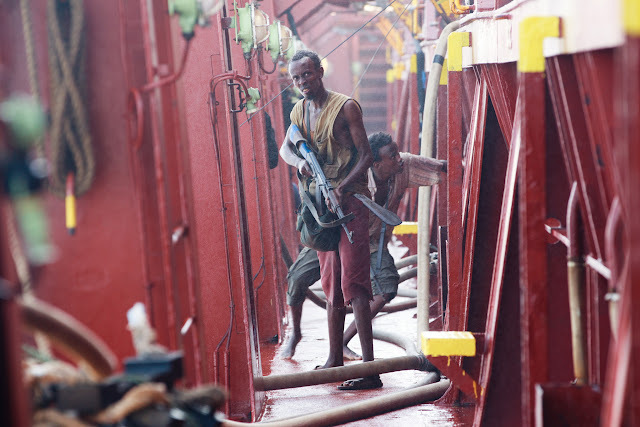 We fight piracy in other areas and there are also other things to worry about on a ship. But you can’t really be afraid. You have to be wary, observe and note. But when I got back to sea, it actually felt good to get back to what I know and to my normal.